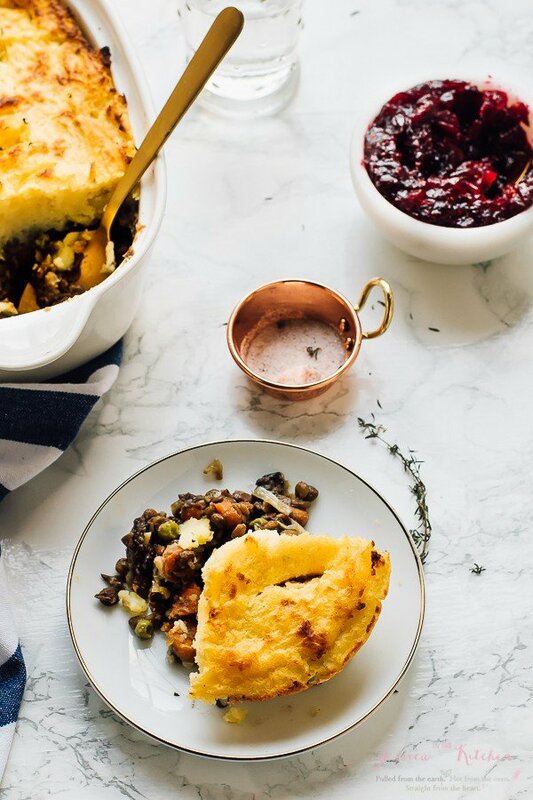 This Vegan Shepherd’s Pie is the ultimate healthy comfort dish! It’s made with mushrooms and lentils, is very filling and is so incredibly easy to make! Why, hello there! I’m filled with so much excitement today because I finally made a Vegan Shepherd’s Pie!! This is a big moment for all of us. 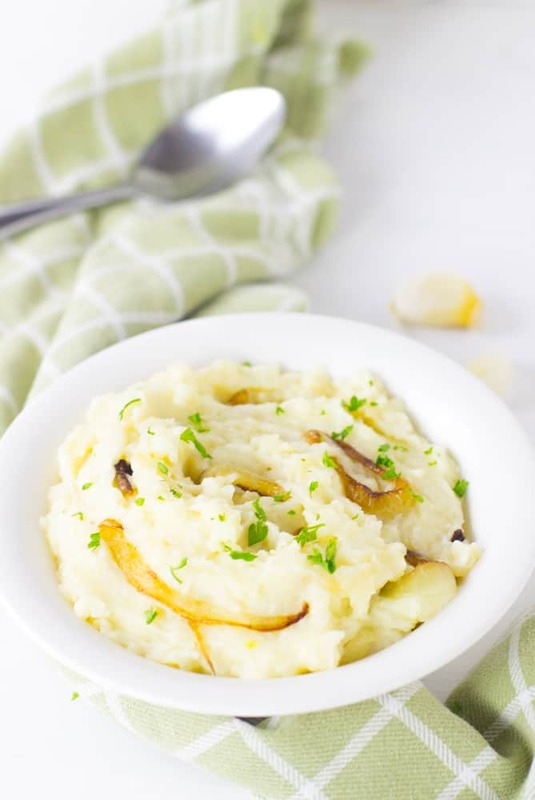 Say hello to a brilliant main dish, perfect for Thanksgiving, perfect for Christmas, perfect for any dinner dish that is TOPPED with beautifully creamy mashed potatoes crisped to perfection. I’ll admit, it’s the topping that has me so happy. Regardless, this is a dish you’re going to need to add to your menu. Let’s chat for a second. You see that golden crispy topping? It tastes like crispy fries. I know, am I 5? I definitely ate a large piece of topping with each bite, and that’s completely okay. 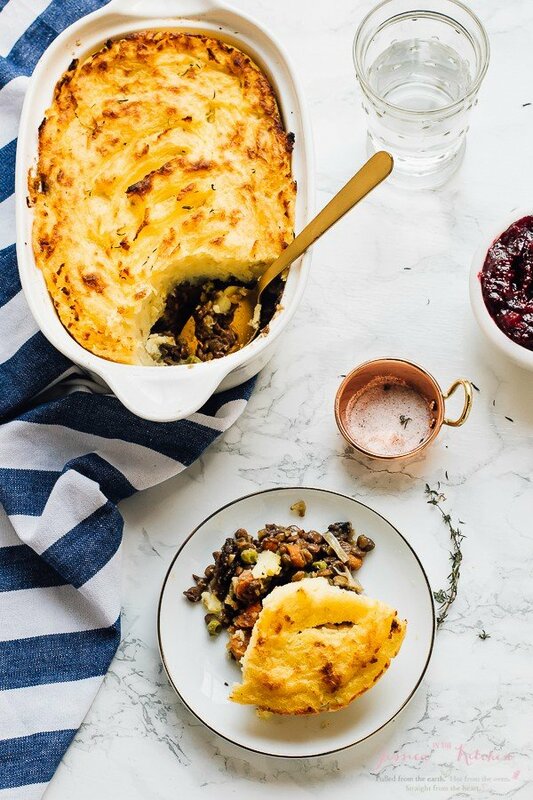 Anyway, I’m going to give you three great reasons why you need to make this Vegan Shepherd’s Pie. 1: It’s ridiculously easy to make. I cook down everything at once basically, pour it into the dish, top it, then bake it. I actually much prefer making my lentils a day ahead of time and my vegan mashed potatoes. If you’re making this for Thanksgiving it’s pretty ideal: just make a double batch of mashed potatoes and use the second batch to top this. In fact, while you’re at it, make a WHOLE bunch of lentils. 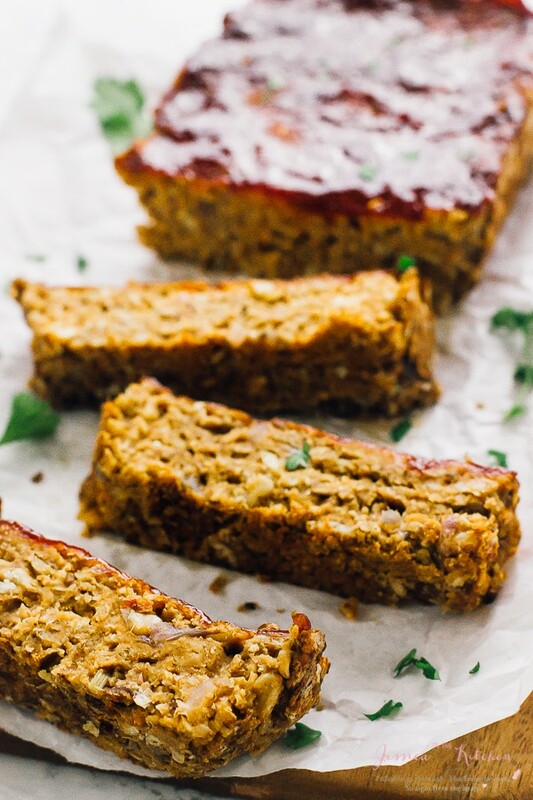 You’ll be using it in pretty much everything – I know I’ll be using them in my Vegan Meatloaf. 2: It tastes so darn delicious. Look at that picture above. The mashed potato topping is literally pulling away from the side, becoming a beautiful baked masterpiece, and caramelising slightly. Good grief. After a long week of cooking, I offered my family a piece of this. Well, they happily took it all. The multitude of flavours here come from all the veggies cooking down together and melding their flavours together. Then of course, topped with heaven, this can only get better. 3: The nutrition value is off the charts. Let’s ignore the topping that I definitely put extra vegan butter in. It’s 100% all veggies after that. Protein galore, beta carotene, and fibre (extra if you use coconut flour/quinoa flour). Basically what I’m saying is, you need to make this. Promise? Nutrition includes garlic mashed potato topping. 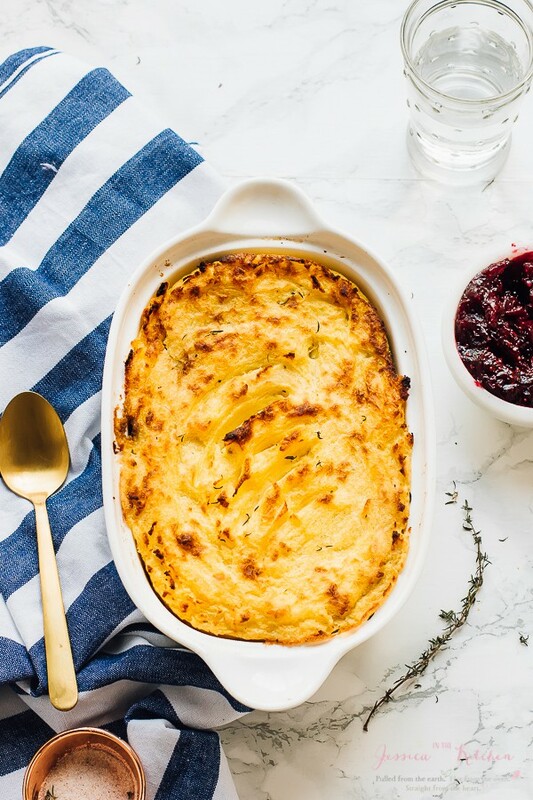 If you try this Gluten Free Vegan Shepherd’s Pie please let me know in the comment section below, or tag me on instagram with the hashtag #jessicainthekitchen! For more exclusive recipes follow me on Instagram AND on Snapchat: jessinkitchen. Make a batch of Best Vegan Garlic Potatoes . Set aside. In a pan over medium-high heat, heat the vegan butter or olive oil. Add the mushrooms, carrots, garlic, onion, celery and thyme. Stir together and allow to cook until onion is translucent and the garlic is fragrant, and veggies are cooked down, about 10 to 12 minutes. Stir, and add salt and pepper to taste. Add the flour, and stir to coat, then pour in the vegetable broth. Allow to simmer for 5 more minutes on medium heat for the mixture to thicken slightly. If you want a thicker filling, add in more flour by the tablespoon. Remove from heat and add in the cooked lentils and peas and stir, allowing the mixture to heat through the frozen peas. Add more salt and pepper if needed here after tasting. Pour into a casserole dish and spread the mashed potatoes over the top, covering completely. You can shape it into a little design if you'd like. Bake for 15 minutes, then broil on low until the mashed potatoes top is golden brown. Allow to cool slightly, then serve. Enjoy! You can store this in its original container with a lid, or transfer to an airtight tupperware container in the fridge for up to 5 days. To reheat, simply microwave, or reheat in oven at 350 degrees until warm (about 10 minutes) to keep top crispy). So comforting and delicious! 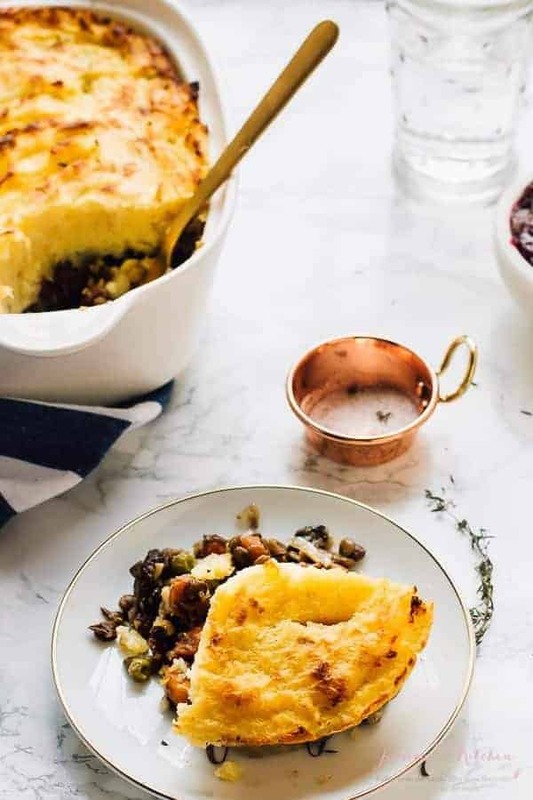 I have never made shepherds pies because the man in the house is not fancy for potatoes, except pomme fries which I don’t cook often enough for him…maybe a few times yearly he gets fries at home. Comfort food! Perfect. There is no other word to describe this other than perfect. This looks amazing! Any chance you can recommend a sub for mushrooms? I’m not a fan at all. Can’t even try to trick myself. Hi Jessica — thanks for this amazing recipe. Just tried it tonight and it is excellent. My husband loved it too! 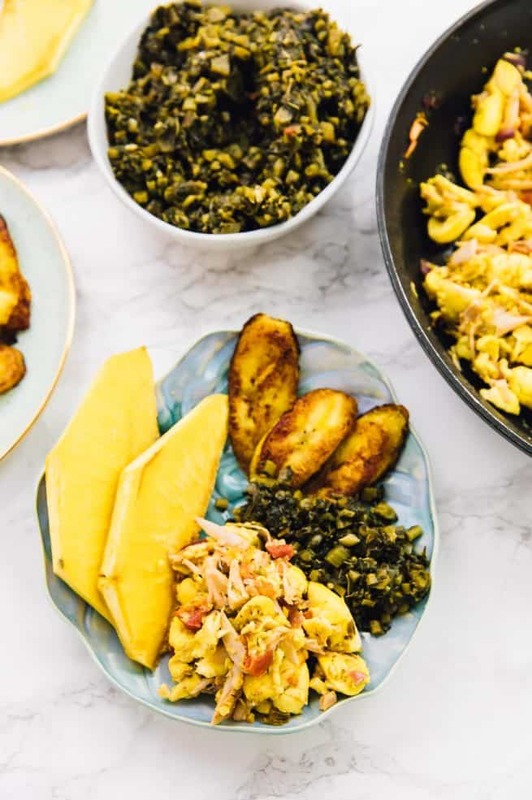 Question: where can I find nutrition info for the recipe? I see you reference the nutrition info but I can’t find it. I’m using an i-pad, in case that makes a difference. Super tasty–thanks so much for the recipe! I halved the mushrooms and lentils but kept the veggies the same amount and added cubed seitan for more protein. My non-vegan friends LOVED the recipe. It was super fast and easy and will definitely make again. Thank you for trying our recipe!